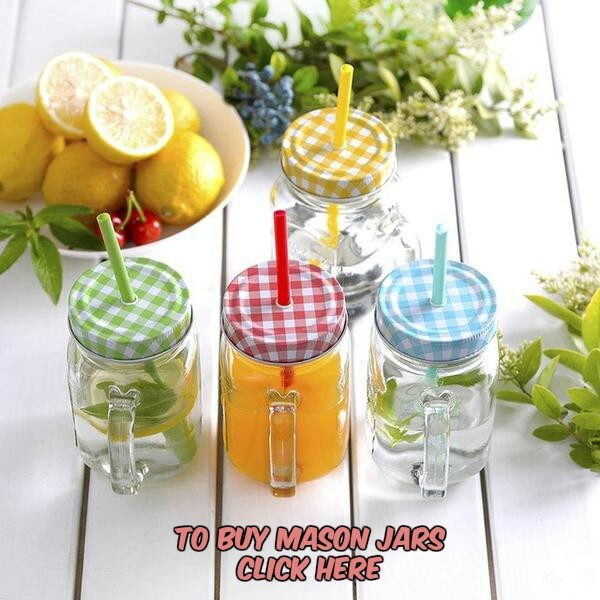 Frosted mason jars add a wonderful misty charm to the interiors of your cozy home. 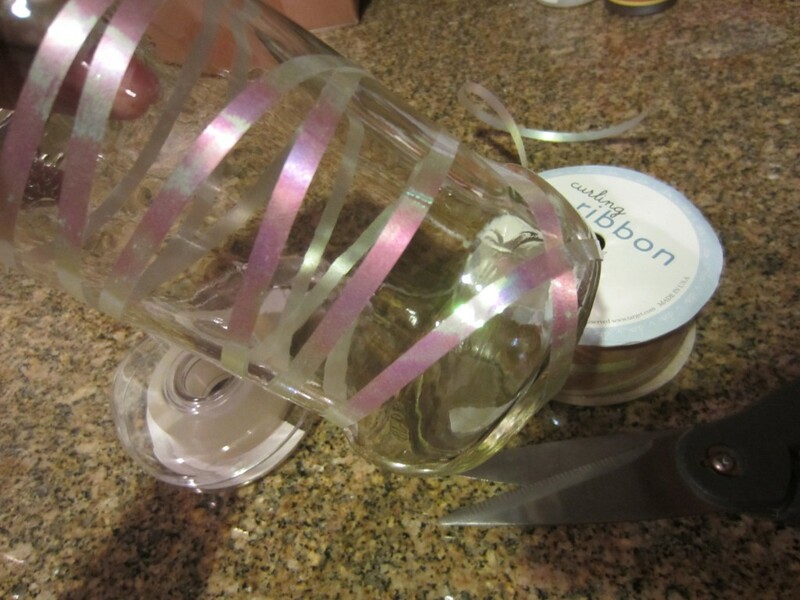 Save your bucks by making one yourself out of your old used mason jars. An artistic way to reduce, reuse and recycle. What say? A post in DIY Inspired brought this rustic craft idea to my mind. Wrap curling ribbons around the jars and secure them with tape. You can use decals or stickers for creating designs as well. Evenly cover the jars with three thin coats of frosting spray allowing a drying interval of 30 minutes between the consecutive coatings. Allow the jars to dry completely. I let them sit overnight but 3-4 hours drying time is fine. 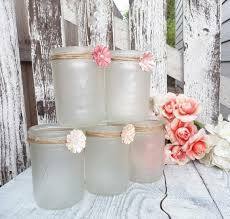 While using them as centerpieces, you can place regular jars intermittently to enhance the frosted effect. Decorate with colorful ribbons and artificial flowers at their necks, if you wish to. 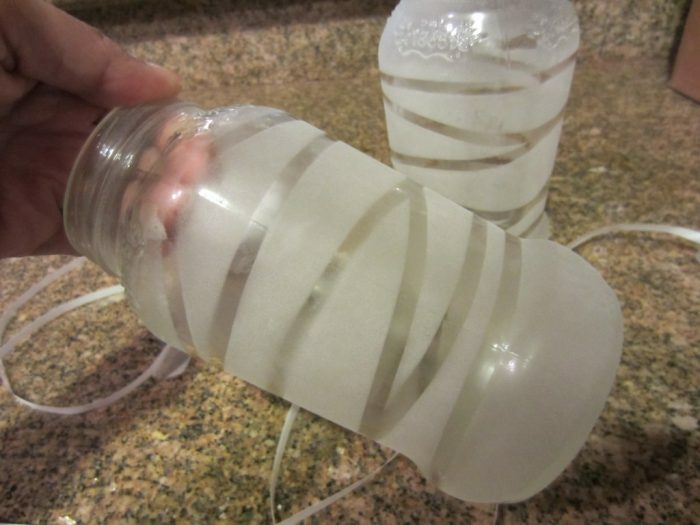 It is recommended that you spray the jars in a well-ventilated area holding them at least 12 inches away. Instead of the spray, you may apply a frost etching effect with a foam brush for attaining a similar frosted look. Thinning white glue with a little water and using it to paint the jars avoiding brushstrokes is another alternative. If you want a tint to your frost, add a few drops of food coloring. 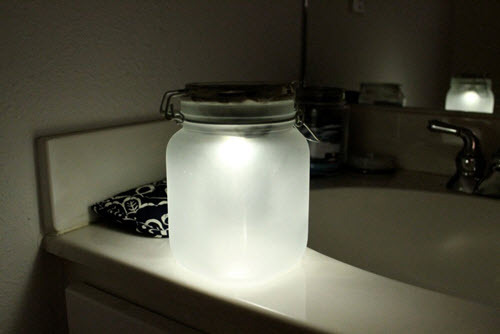 Placing lights inside the frosted jars can lend an ethereal aura to the dinner table. 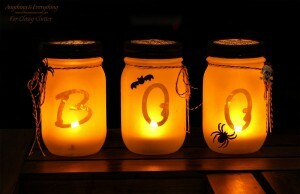 You can get some spooky design on the mason jar lanterns and fill them with candles for Halloween. 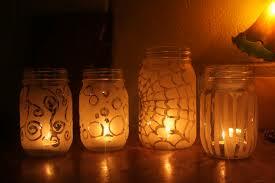 Let your Christmas luminary be eco-friendly by making an arrangement for solar lights in your frosted mason jars. 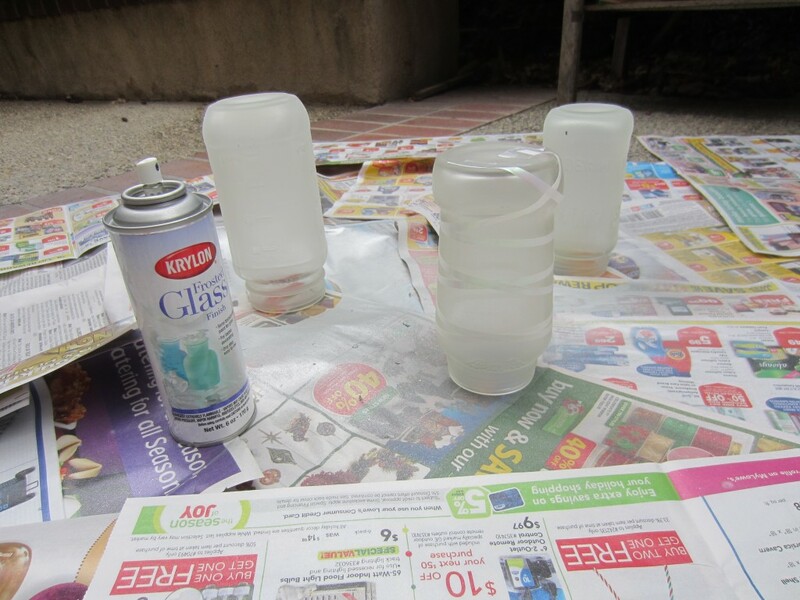 Your mason jars can be a combination of spray paint and frosting spray as depicted here. 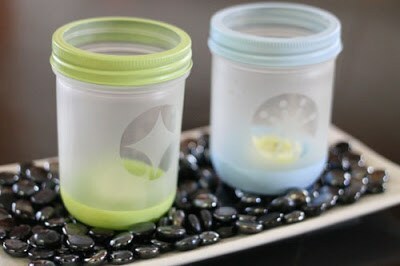 Pretty patterns such as trees, birds or stars on the jars add to the looks. 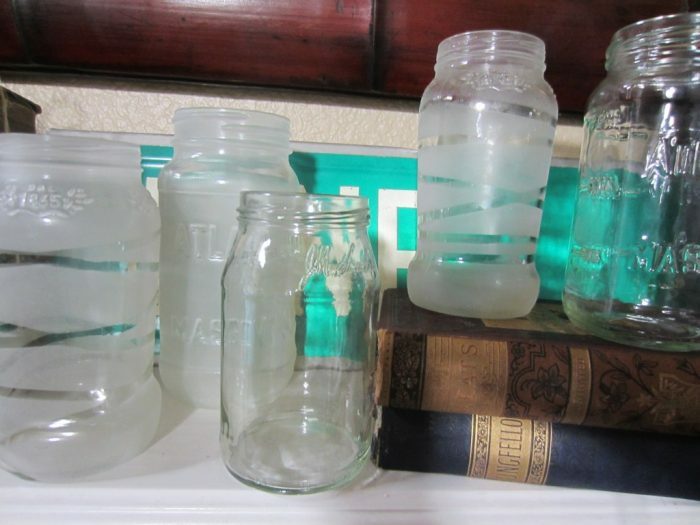 Frost inside your mason jars is a beautiful exhibit of your aesthetics and craft skills. Call your friends over and check their reaction on spotting these, if you don’t believe me.